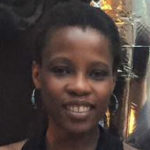 Sem Moema is a mayoral advisor covering private renting and housing affordability in Hackney and works as a senior account manager for a public affairs agency in Westminster. Her family was impacted by dementia when her father was diagnosed with early-onset Alzheimer’s disease. She recently told her family’s story in Alzheimer’s Research UK’s “No time to lose: an action plan for dementia”.